Karamu House, located in Cleveland's Fairfax neighborhood, is the oldest African-American theater in the United States. Founded in 1915, it has been the launching site for such diverse actors and playwrights as Langston Hughes, Ruby Dee, Robert Guillaume, and countless others. In addition to its theater, Karamu runs a day care facility and cultural arts classes for all age groups. Karamu House was founded in 1915 by two Oberlin College alumni, Russell and Rowena Woodham Jeliffe. The playhouse, originally called the Playhouse Settlement, was dedicated to creating an integrated theater company. The theater struck a chord not only with the black community, and director and touring theater groups from around the country sought talent among the theater's players. The theater was renamed "Karamu" in 1941 after the Swahili words for "place of joyful gathering." 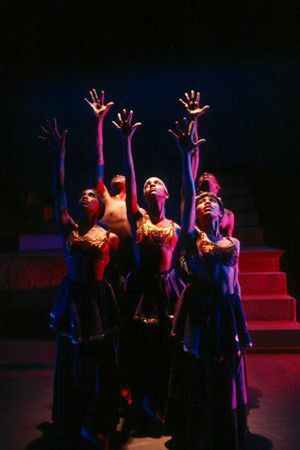 Past Karamu productions include several works by Cleveland playwright, Langston Hughes as well as work by Zora Neale Hurston and Lorraine Hansberry. Actors who have honed their skills at Karamu include Ruby Dee and Robert Guillaume. Karamu House presents a regular fall/winter/spring schedule of six plays each year, ranging from serious dramatic plays to musicals. One of the most treasured of Karamu's productions is the annual holiday presentation of Black Nativity by Langston Hughes. Single and subscription tickets to Karamu performances are available via the theater's website. Ample free parking is available adjacent to the theater. Karamu sponsors a full daycare facility for children from 6 weeks to 14 years of age. The center's offerings include a before and after school program, cultural arts classes, and periodic cultural field trips. In addition to the daycare facility, Karamu House offers a wide variety of cultural arts classes for all ages and skill levels. Subjects include drama, dance, scrapbooking, drawing, and much more.